Have you seen these gals? They have committed a serious crime. What was I thinking asking *criminals* to guest post on my blog? Especially Brownie Criminals!! Who are they? Kim is from Homesteader's Heart - she brings a smile to your face every day with her posts! 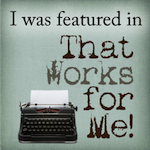 Today she is hosting Friday Funnies - go read her story about her first cup of coffee! Lots of people link up funnies so you'll find plenty of laughs to get your weekend started! And Kim's partner in crime? That's Kathy from Blessed Beyond Imagination. Check out her pretty dessert post! Whatever - they're still criminals for altering this brownie recipe. They dared, yes dared to mess with perfection and what did they get? We'll watch the vlog to find out! Gather up the ingredients - you know you want to! Preheat oven to 350. Butter a 9x9 pan. Beat butter, sugar and vanilla. Add eggs; beat well with spoon. Stir together flour, cocoa, baking powder, salt, almonds & coconut. Add flour mixture to egg mixture & stir just until blended. Spread evenly into pan. Sprinkle with chocolate chips if desired. Bake 20-25 minutes or until brownies begin to pull away from sides of pan. Cool completely in pan on rack. Please do be careful. The Brownie Criminals are dangerous. 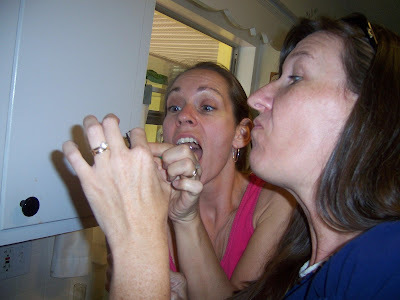 I have the evidence - this picture shows them violently attacking a chocolate-covered spatula! 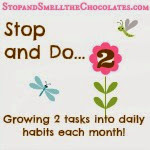 Now, you still need to link up your chocolate posts right here! Don't let the Brownie Criminals scare you. Go get a chocolate post out of your archives or whip one up right now and bring it back to link up! LHOTIBMKASA!!!! Oh me! Why does it seem funnier on YOUR blog! Ha! Ha! 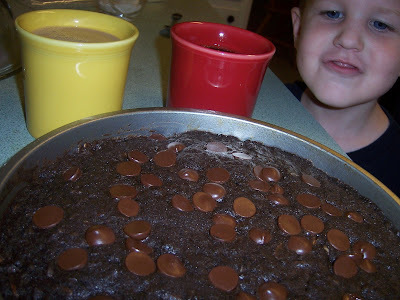 Don't you love the sound of a little 4 year old saying he's hungry as Mom and her friend munch on brownies? That's just down right mean! LOL. Oh this was fun. Big I completely forgot to mention your name in the vlog after I got off track size hugs to you! LOL - we are nuts aren't we! :) That was fun Lisa, thanks for asking Kim to guest vlog - I knew she couldn't do it without me, hee hee! LOL! That was funny. I love how the child is roaming around being ignored... I guess he hasn't learned that mom's can't hear any thing when eating chocolate! I LOVE how the kid is crying "I'm Hungry" and the moms keep eating chocolate... That is soooo funny. I love this - what a fun post and a decadent dessert!!! 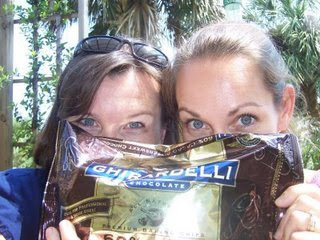 No one with such gorgeous blue eyes (and holding chocolate in fact) could ever be a criminal! 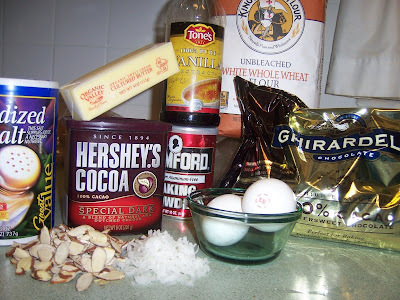 We've tried THREE chocolate recipes in the last week, and choosing which one to link was difficult. However, in honor of our brownie baking guests, I went with the one that could have brownie in the title. Have a great weekend. Well then! I suppose that you get to make a batch that you don't have to share!! Those look good. I like to tweak recipes too. Not fair! Like watching food network and really wanting those gooey brownies! Way to go girls for taking a recipe and making it yours. But seriously? Coconut? Why did it have to be coconut? Coconut is to Donna as snakes are to Indiana Jones. Oh, I love Kim. And I love chocolate!! 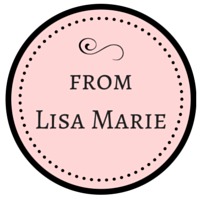 Thanks for visiting me over at the Inspired Rm today, Lisa! Hi Lisa. You can remove Mr. Linky #6. I'm not sure how it happened, because I was on today's current post, but the title is incorrect. Although the post does take you to a chocolate recipe, and I guess you could give that for a baby gift, the original link was for something else. Sorry about that.